As you can see little Ginger seems to be settling in on the ranch. 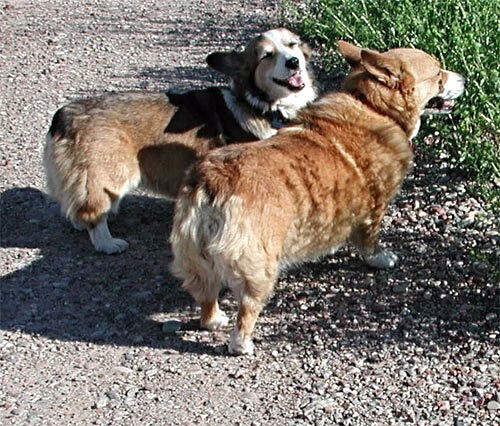 Jinks was so depressed when our Chiffon passed away in the Spring we were lucky to find Ginger! Jinks needed an older friend (he's a bit of a grumpy old man around puppies) and Ginger just clings to him day and night. You could never tell she's 7 she runs through the sage brush like a 2 year old!